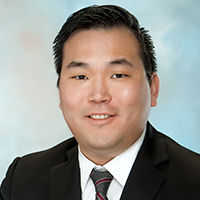 (In Memoriam) Choi, Theodore Y.
Ted Choi was a highly accomplished senior associate with Wong Fleming for several years who passed away suddenly on January 30, 2019. He was only 36 years old and left behind his mother, wife, a young son who was 3 years old, and brother, with family in New Jersey, Maryland and Philadelphia. Ted lost his father when he was a young boy to a crime of violence and this inspired him to dedicate himself to the legal profession. He was extremely well loved by all of our employees because he had such a kind heart and was always willing to chip in with the work. Many of our clients asked that he be assigned to their cases, and he was also highly regarded for his excellent analytical and writing skills. Ted was admitted to the Bar in Pennsylvania in 2009 and the Bar in New Jersey in 2010. He received his Bachelor of Science degree in 2005 from Drexel University and his Juris Doctorate in 2009 from Widener University School of Law. Ted will be greatly missed. May he Rest In Peace.